Experience the warmth of an electric fireplace and the wonder of an LED light show with the Dynasty Built-In Electric LED Fireplace. 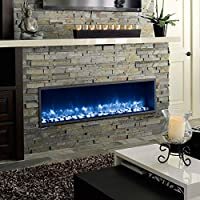 Available in your choice of sizes to fit your built-in, the modern design of this electric fireplace includes equally as modern features, such as a remote control to adjust the realistic flame effect from the comfort of your sofa while you enjoy the color-changing LED light display. 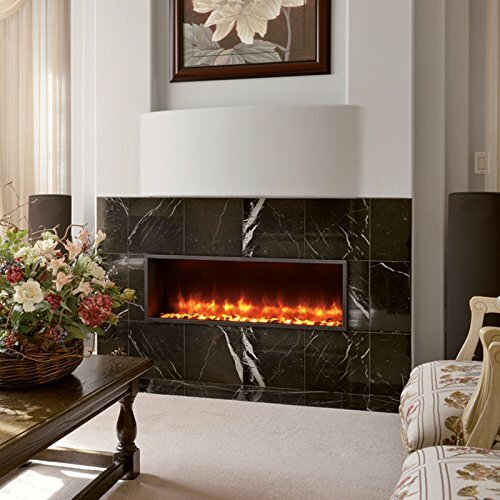 Dynasty Fireplaces specializes in the design and manufacturing of fine, natural stone mantels, using only premium quality materials sourced from around the world and employing the highest caliber craftsmen. The company's lofty standards for good stone and special care to finish every piece by hand guarantees the best possible detail on every item sold so your home is decor is elevated with something positively timeless. Dynasty opened in 2007 in Richmond, British Columbia, a family business first operated out of a small warehouse with limited showroom space. 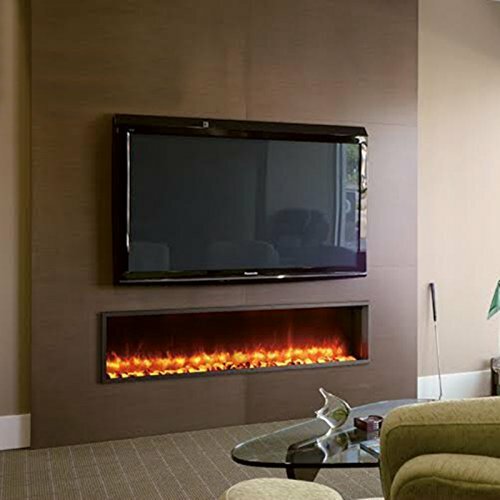 In the past decade, its commitment to a superior product has made for a successful enterprise with fully furnished showroom for displaying an increasingly growing line of well-crafted products. 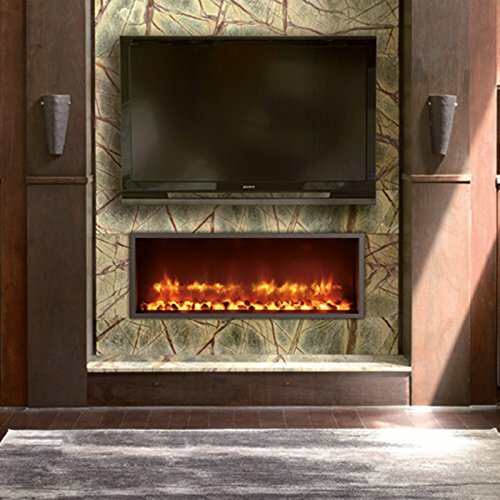 Dynasty Fireplaces always looks to exceed expectations. Choose from available sizes. 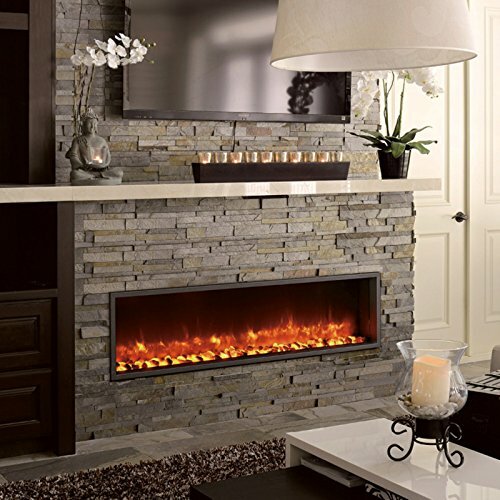 Includes remote control with sleep timer and thermostat gauge. Black metal casing with glass screen. Realistic flame effect underlit by color-changing LED lights. 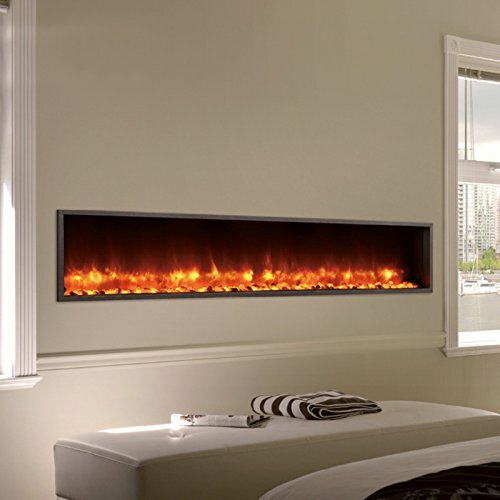 No ventilation required and operates with or without a heat source.